Move over Nando's, there's a new piri piri chicken restaurant in town. Open since July 2018, Portuguese restaurant Casa do Frango introduces authentic piri piri chicken to London. 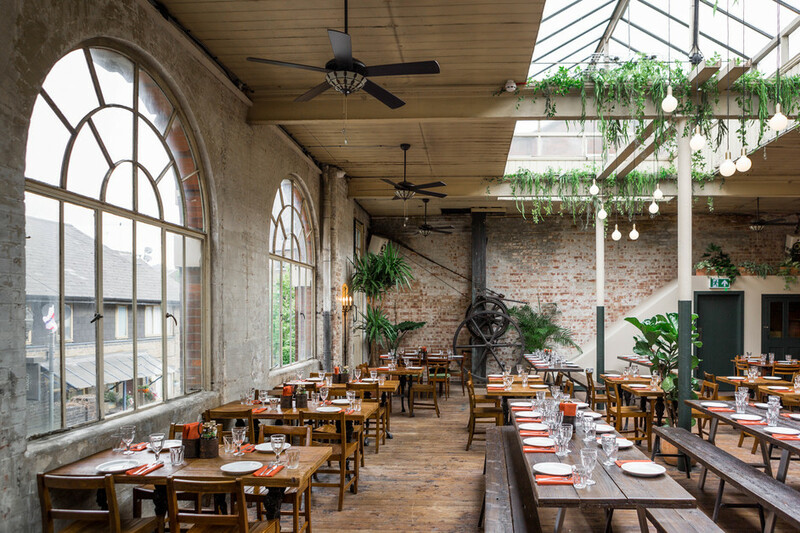 Taking over a beautiful, rustic space in London Bridge, the aesthetically pleasing restaurant specialises in regional Algarvian-style piri piri chicken cooked over wood charcoal. The grill is overseen by experienced Algarvian pitmaster Lucidio da Fonseca Monteiro, who moved to London specially for the project, and serves up tender, flavoursome chicken to be enjoyed alongside grilled chorizo, octopus rice and grilled vegetables. For dessert, there's Portugal's most famous sweet treat, the pasteis de nata, as well as almond cake and chocolate mousse. With a vaulted ceiling, a giant glass skylight, hanging foliage and rustic wood furniture, the striking space has been designed to reflect the mood of classic Portguese tascas. Casa do Frango gyms, sporting activities, health & beauty and fitness. The best pubs near London Casa do Frango. Casa do Frango clubs, bars, cabaret nights, casinos and interesting nightlife. Where to have your meeting, conference, exhibition, private dining or training course near Casa do Frango. From cheap budget hotels to luxury 5 star hotels see our deals for Casa do Frango hotels, including Holiday Inn Express London Southwark from 76% off.